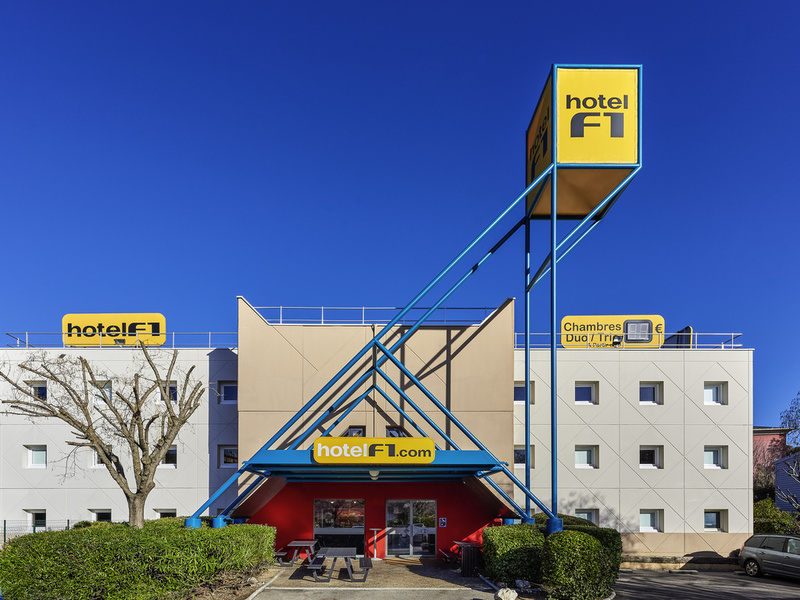 Hotel ideally located on the Paris/Nantes highway. It is the closest hotelF1 to the city center, at just 2.5 miles (4 km) from the historic center of Rennes. Access to the cultural activities of Rennes, Le Liberté concert hall, the train station, and the University of Beaulieu. Close to Rennes bypass, 5 minutes from the ALMA shopping center, 10 minutes from the Stade Rennais football stadium, 15 minutes from the exhibition center, and 10 minutes from Bréquiny swimming pool. Good value, easy to find off the main road, not too busy. Good value as i booked early, it was very easy to find off the main road, not too busy so i had no proble ms with noise. The reviews i have read elsewhere almost stopped me booking. My only complaint was the smell of smoke in a few parts, but not enough to worry about. The hotel was full on arrival at 10pm, and it was impossible for me to get a room number from the machine despite the reservation. Multiple attempts to get the room number and code failed. I had to find another emergency housing solution at almost midnight. Room and toilet are not clean. I didn't pay attention there is no bathroom in the room. So the price is expensive !! Straight forward, easy, clean. The Staff were helpful too. Madame L., Nous vous remercions d’avoir pris le temps de nous écrire à la suite de votre séjour à hotelF1 Rennes Sud Est Chantepie. Dans l’attente de vous accueillir prochainement, nous vous prions de croire, Madame, en l’expression de nos sentiments les meilleurs. Excellent break to our journey. The bed was comfortable and the room quiet. The staff were superb and made us feel very welcome. We needed somewhere to stay to break up our journey that was easy to find and near the autoroute. This we found in the Rennes South Formula 1. It was clean convenient and suited our purpose exactly. Very hot, no mosquito screen on window, bed bugs in oir bed, walls dirty. Receptionist helpful but room was so depressingly awful. Price is cheap but of little consolation when we got no proper sleep. It was very easy to find, very clean and comfortable beds and very good value for money. It was fine, but Alencon F1 is better. Ive recently stayed in this hotel on my way down to south France. Ive stayed in many of your hotels growing up and had great memories! This hotel was dirty and scary. I stayed with my two young children and was not very pleasant atall! We didnt even leave the room to go the toilet or shower because it was inhumane! I had two different hotels booked for three nights for on my way home and have cancelled both as i couldnt stay with my children again in a place like that. I am deeply dissapointed to send this as i thought your Hotel would of been a big experiance of my familys holiday, as it was when i was a child. I have booked other hotels at short term premium prices witch has gone ontop of the budget of my holiday. Kind regards Kim C.